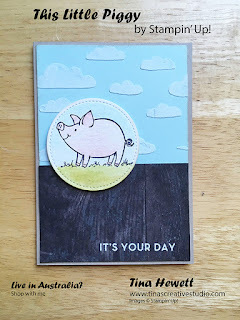 Today's card is one of a set of 4 that I'm making using the cute This Little Piggy stamp set from Stampin' Up! 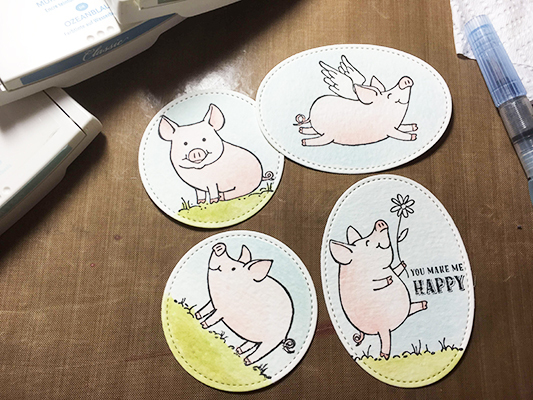 Actually, before I saw the sketch, I stamped my piggies in Archival Black ink onto Watercolour Paper and coloured them in using my Aqua Painter and the different inks. Then I went looking through some sketch challenges and card layout ideas for using these. For today's card I finally opened my jar of Embossing Paste and used it together with the cloud stencil from the Pattern Party Decorative Masks set. The paste is white, and dries pretty quickly, so I didn't need to leave the embossed piece of Soft Sky cardstock to dry overnight. The bottom part of the card is a piece from the Wood Textures DSP stack. I stamped the sentiment from the Big on Birthdays stamp set in VersaMark ink and sprinkled on White Embossing Powder, which was heat set with a Heat Tool. 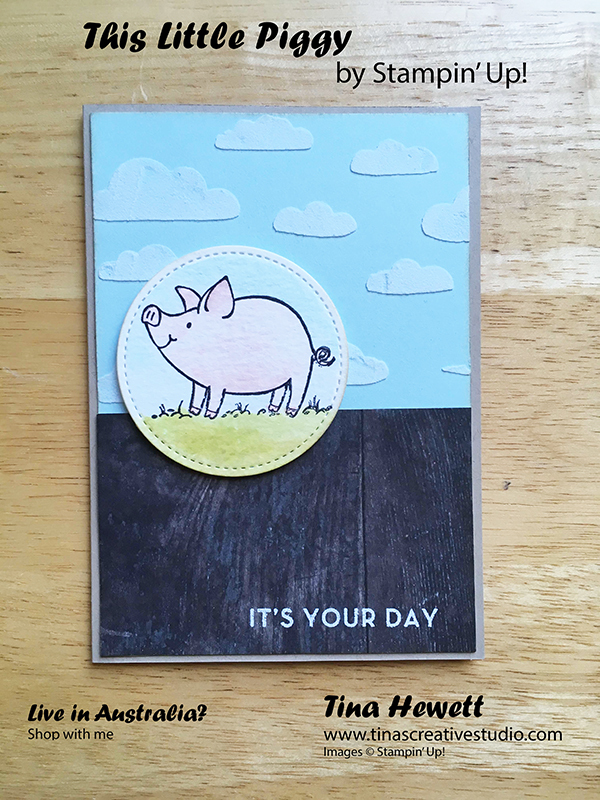 The pig stamp actually had the words Hogs & Kisses just below the pig, but I chose not to stamp that. 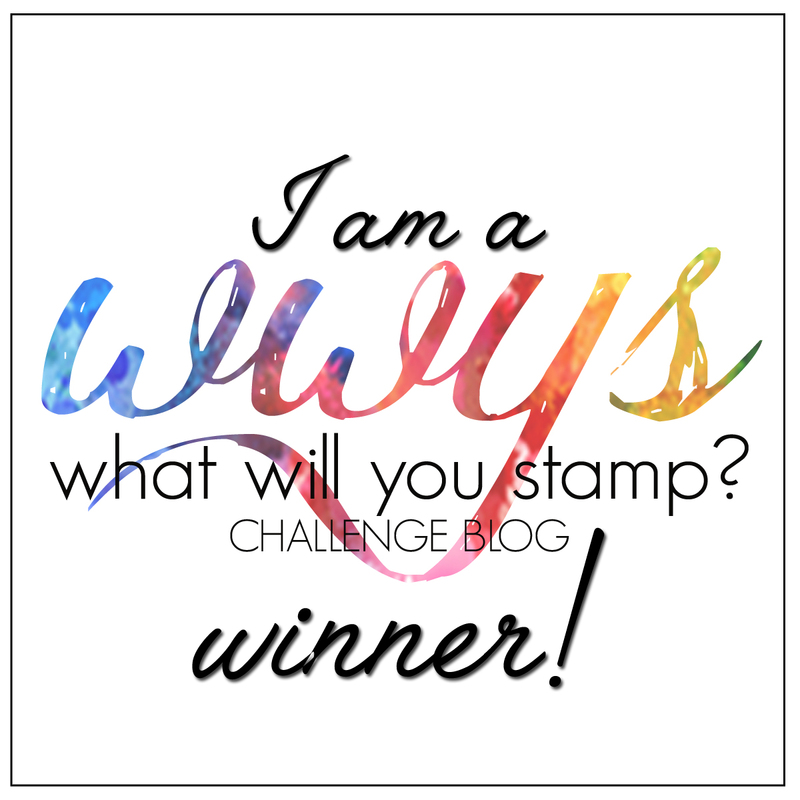 Instead of cutting the stamp I covered up the words with masking tape, inked the stamp up, then removed the tape before stamping onto the Watercolour paper. Tomorrow I will be posting another card using this set, so please come back to see that one.